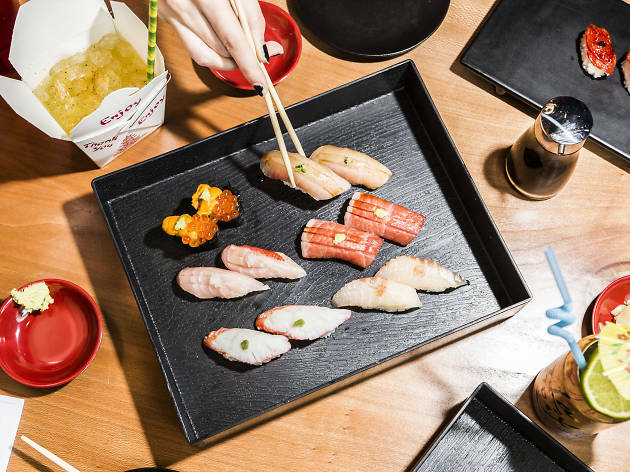 From the creators of Ramen-san comes this sushi-centric counterpart, which offers maki, charcoal-grilled goodies, nigiri and sashimi, sake bombs and more. The River North restaurant also features a hand-roll bar, where walk-in guests can order a three-, four- and five-course tasting menu. 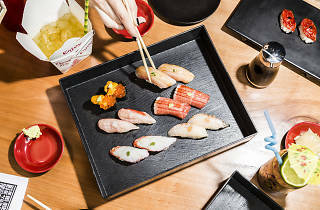 Diners can also expect hip-hop beats, obscure rolls (melted tomato nigiri, anyone?) and a lively post-work environment. On the cocktail front, you'll find creative touches like the La Croix-ing Tiger: pamplemousse-flavored sparkling water, shochu and lime served in a LaCroix can. Needless to say, the Instagram possibilities are endless.